We are two weeks away from Reclamation Day! Press and the pre-ordered players alike are ankles deep in the Fallout 76 Break-it Early Test Application, or B.E.T.A, and, boy, are we ever breaking it. Self-cannibalizing PC launchers and massively throttled download speeds aside, Bethesda’s Fallout-with-Friends experience is ripe for adventure once you get there. But, this is why we do these tests; it is a beta after all. Within this article, I am going to outline a few key things to know as you enter the rolling hills of West Virginia. As you leave Vault 76, you will be given a modest amount of supplies as you venture out in the the wild unknown, but those supplies will only get you so far. But even in the harsh, post-nuclear wastes, there are still supplies to be found… they just might need a helping hand. And fire. Much of the water and food that you will find is irradiated, so an extra step could be the difference between a full belly and an extra set of thumbs. By taking the time to sit down at a cooking station you can cook most the rads one. There will still be some residual radiation, but cooks food and boiled water will provide greater replenishment for your food and water meters while killing some of the rads. Carrying wood with you aids in the cooking process. Don’t worry - you aren’t going to have to punch any trees, but you will need to make sure that you stop by any downed logs you see to pick up a piece or two for the road. Pencils and clipboard are also a good source of wood - not to mention are light weight pieces of junk - to get the job done. I would encourage you to take in your surroundings. The Bethesda team did an incredible job creating a beautiful facsimile of West Virginia, capturing its natural beauty even if ravaged by the Great War. There are stunning vista and just plain weird scene that you will stumble across throughout the region if you keep your eyes out for them. Outside of visual situational awareness, sound can play a vital role in figuring out what is going on around you. 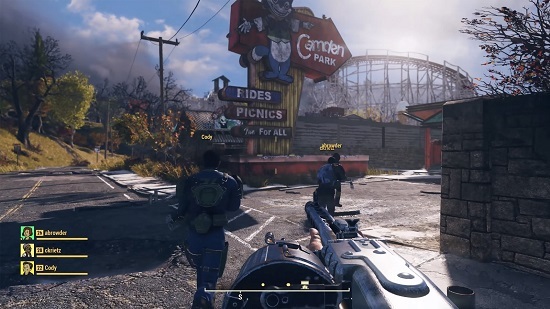 This is a much “greener” Fallout game than we have gotten in the past, so everything funky, irradiated, and angry has more places to hide. As a compulsive hoarder in games like this, I take for granted that there are specific items that one should always look for when exploring. Bloodleaf is one of those items. It typically grows near the water’s edge, so if you see a body of water, be on the lookout. Many restorative recipes call for it as a main ingredient. The word on the street is that Bloodleaf is used to make Stimpaks… and you are going to need those. It’s going to happen, especially when you are exploring new areas: you are going to die. You won’t lose your gear, but to will drop a little lunch bag with your junk. While you do have the chance to make your way back to your sack, a far better insurance policy is to scrap and/or bank junk items as often as possible. If you know that you are making an expedition into uncharted territory, a good rule to follow is to visit your camp or a personal stash before doing so. This way, if you die and decide that the area you found wasn’t all it was cracked up to be (yet), you are not out much if you elect to leave it behind… or if someone else finds it first. Fallout 76 really makes players lean hard into the roleplaying aspect of the game. Remember: you are among the first survivors to enter the post-nuclear war world of the Fallout universe. While you are among the last to leave the Vault, you lush, you are going to need to rely on observation. However, that does not mean you will not experience some NPC interactions. 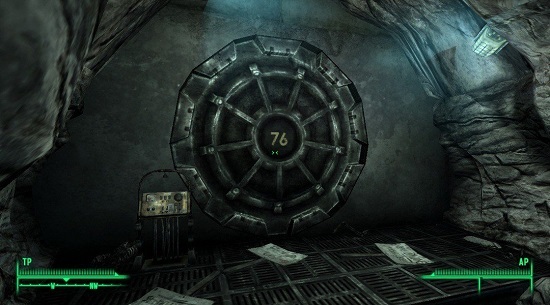 In my time in the B.E.T.A., I tried to go a different route away from Vault 76 than what I did during Bethesda’s preview event. This led me to an old military base still occupied by the finest, most patriotic robots that General Atomics International and RobCo. Industries could muster. They treated me to a battery of examinations in preparation for military service without breaking the immersion of the Fallout 76 experience. 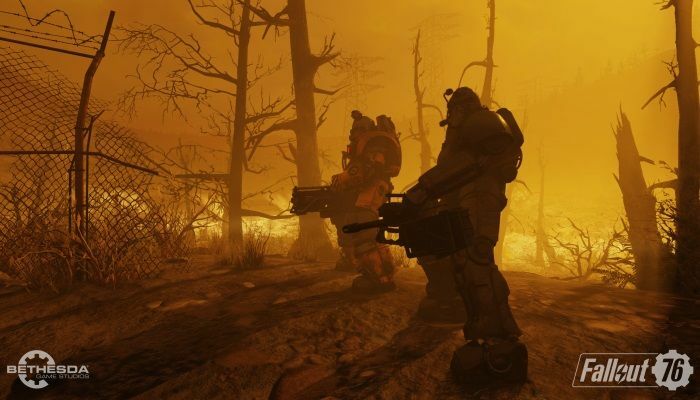 There is still a lot still a lot to discover in the rolling hills and wooded glades of Fallout 76’s West Virginia as well as some fine tuning on Bethesda’s end. We will continue to be plowing through the B.E.T.A. as we get to experience it as we draw closer and closer to Reclaimation Day on November 14th. In case you missed any of our earlier coverage, you can read a roundtable interview with the developers here and check out a few more things that you ought to know as you make your way in the Wasteland.